Toddlers are so much fun aren’t they? Sure you can have “trying” moments as parents, but these formative years really are fun. Your child is experiencing so much stuff for the first time – and just loving being mobile on their own 🙂 . My kids are way past this fun stage (my youngest is 11), but I thoroughly enjoy working with them, so I have decided to run another photo contest. I am always looking for new images to use in future marketing and adding to my portfolio…. so I want to offer you a complimentary session for your 1-3 yr old & 8×10 print to enter the contest. 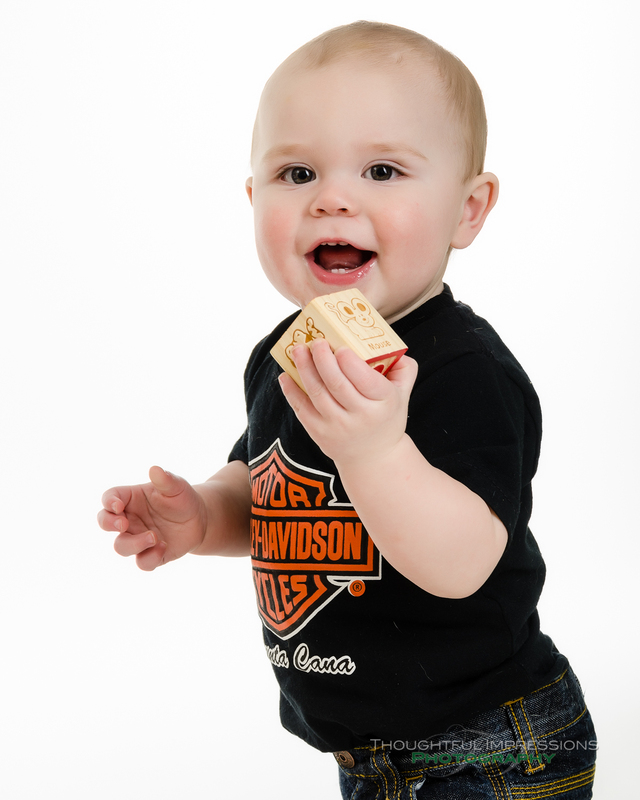 You bring your Toddler (aged 1-3 years) to our baby-friendly home studio located in Pontypool. Our location is just 20 mins from Peterborough, Lindsay, Port Perry or Bowmanville. Once here, we will treat you to a 60 minute stress free photo session with your toddler. There is absolutely NO COST to you. Check our exact location on the Contact Page. Bring along a couple of outfits. I will photograph the girls on both a pink & high key white backdrops. Boys will be photographed on blue and high key white backdrops. We want you to bring 1 or 2 of your child’s favourite toys to be used as props in the photos. Approximately 1 week after your session, we will have you back to the studio for a viewing session where we will show you 20+ fully finished images from the photo session. Pick out your favourite and you receive a FREE 8×10 print of it. This will be your contest entry. There is absolutely NO COST to you! You DO NOT have to purchase a single thing at the viewing, the 8×10 is absolutely free. Should you want more images, additional prints may be purchased at 25% off of our regular pricing at the session. Grandparents are more than welcome at the viewing session! We will set the date for your viewing session immediately after your photo session. Unfortunately there is NO online proofing available. On or about March 10th, 2014 we will post an album on our Facebook page ( Facebook.com/ThoughtfulImpressions) that will contain everyone’s chosen image. The first stage of voting will then be open. The 5 images with the most “likes” will move to the next stage of voting. Now is time to get your family and friends to vote, but they must be fans of our page for the vote to count – make sure that they “Like” the page not just the image! This stage of voting will be open until 8 pm March 17,2014. The 5 images with the most “qualified likes” (meaning the people have also liked our Facebook page) will be submitted to an international panel of professional photographers. The images will be open to voting in this private forum until March 24, 2014. The winners will be announced on the afternoon of March 25,2014. The 1st place winner will receive a $300 Photo Session Certificate, 2nd place will receive a $100 Certificate and 3rd place each receive a $50 certificate. These certificates can be applied towards prints, canvas gallery wraps, another session, etc. and are good for 90 days from the date of issue. So what’s the catch – there’s always a catch in the fine print right? Here it is: We want to use these images in our portfolio and future marketing. What does that mean? Well, quite simply, it means we may use an image of your child as a sample in our studio, as a picture on our business card / brochure or flyer, a sample on a website or maybe some marketing mailing. Your child will not be identified in any way and we won’t sell the images to anyone. We will have a model release that you will need to sign. Even if you aren’t a finalist, we may still use your child’s photo. That’s it! This offer will be limited to no more than 20 children! To book your session, just call or TEXT us at 705.772.7702 or email us at baby-contest@thoughtful-impressions.ca and we will let you know the available time slots. I look forward to meeting all of you! Don’t hesitate to contact me with any questions.